Patients seek Dr. Franklin’s advice for a variety of skin and body issues. After careful consideration of each patient’s needs, budget and goals, he provides options for the patients to consider. Whether you desire smoother skin, help with discoloration, acne and acne scarring, laser hair removal or want a more luminous, youthful appearance, we have a solution to address your concerns. One of the most significant investments a plastic surgeon makes is the purchase of laser equipment. New technologies are constantly in development to decrease the time and discomfort of procedures while increasing the effectiveness of those treatments. Dr. Franklin was the first surgeon in the region to adopt OPTIMAS by INMODE, the most state-of-the-art device on the market for his patients' laser procedures. Patients seek Dr. Franklin's advice for a variety of skin and body issues. After careful consideration of each patient's needs, budget and goals, Dr. Franklin provides options for the patients to consider. Whether you desire smoother skin, help with discoloration, acne and acne scarring, laser hair removal or want a more luminous, youthful appearance, we have a solution to address your concerns. Fractora is a bipolar radio-frequency treatment that provides dramatic improvement on acne scarring and wrinkle reduction by fractionally ablating the skin. This treatment revives aging skin by stimulating the formation of new collagen which helps to improve the skin's elasticity (tightness). This treatment provides natural, youthful-looking results that are almost instantly visible, with continued improvement after the procedure. 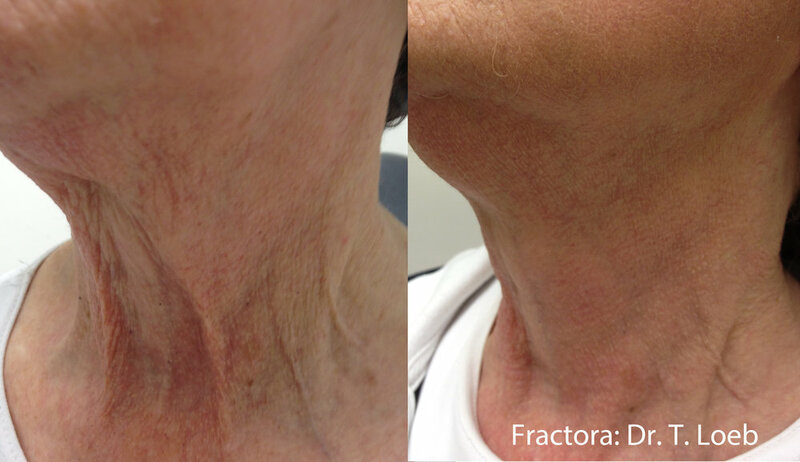 Fractora can also be used to treat acne and acne scarring, hyperhidrosis (excessive sweating), and stretchmarks. It is also an excellent solution to reduce the appearance of scars. Commonly treated areas include lower eyelid, upper eyelid, smile lines, forehead, cheeks, mouth, and neck; helping to improve wrinkles and discoloration such as age spots, sun damage, and hyperpigmentation. 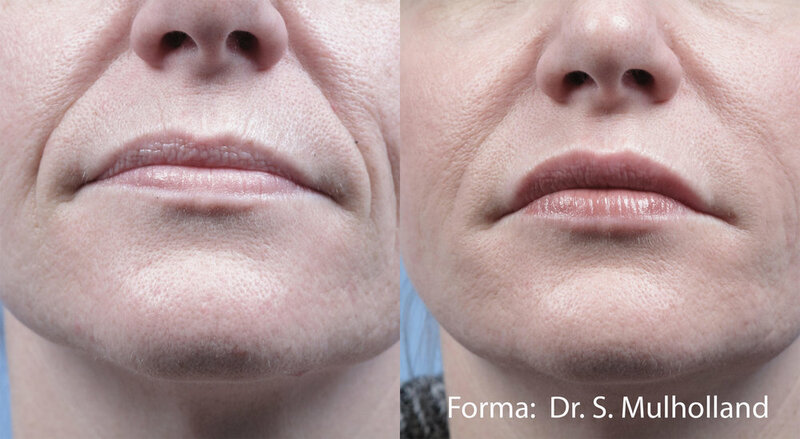 Forma skin tightening is a remarkable, non-surgical treatment for people who would like more youthful looking skin and are not ready to explore face or neck lift surgery. This procedure is often used in combination with dermal fillers for an added look of volume and contour. Forma can literally be a "lunchtime" treatment which allows you to return to your normal daily routine the same day. Lumecca uses intense pulsed light (IPL) to treat pigmented and vascular lesions. After just one use, patients notice significant improvements in the complexion and clarity of the skin. Lumecca provides a photo-facial through the delivery of a comfortable light treatment. This remarkable treatment can help you look years younger while it helps to improves skin complexion while reducing skin irregularities. Most common areas of treatment are zones regularly exposed to the sun, including the face, neck, décolletage, legs, hands, and arms. See a notable difference in as little as one "lunchtime" procedure. This treatment is non-surgical and requires no downtime. Our DiolazeXL Laser treatment is an advanced hair removal procedure that safely and gently eliminates unwanted hair. This device covers a large treatment area allowing for a much faster treatment time with little to no pain, due to 3PC Cooling, built into the hand-piece which minimizes discomfort. This laser destroys the root of the hair follicle, which prevents future hair growth. Most commonly treated areas include bikini, legs, arms, chest, back, shoulders, stomach, neck, chin, and sideburns. No need to sweat it out any longer. Hyperhidrosis is excessive sweating that's not necessarily related to heat or exercise. Underarm Sweating (axillary hyperhidrosis) and sweaty palms and soles of the feet (palmoplantar hyperhidrosis) can be uncomfortable and can make people feel self-conscious. You may sweat so much that it soaks through your clothes or drips off your hands. Talk with Dr. Franlin about our laser treatment that improves excessive sweating. CALL THE OFFICE AT (919) 651-8006 TO SCHEDULE YOUR APPOINTMENT.